Like many other little girls, Bella Bot wished for a pet puppy to love. 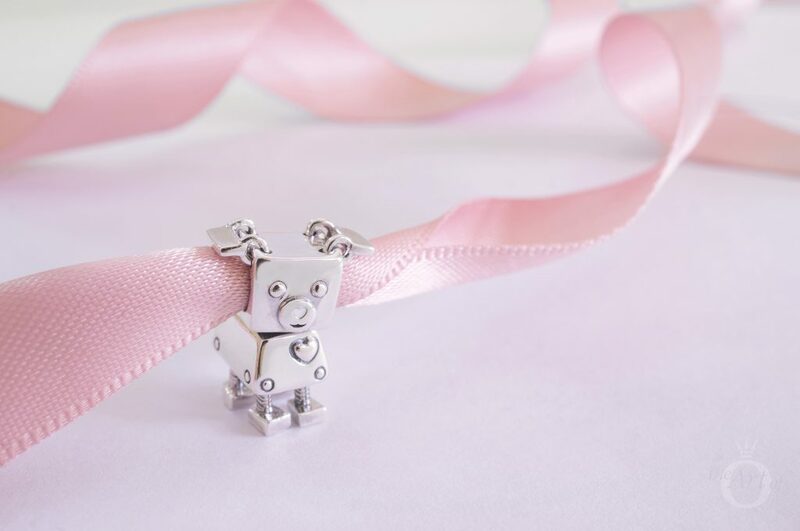 Her dream came true with the release of the Bobby Bot Dog charm from the PANDORA Winter 2018 collection. The PANDORA Bobby Bot Dog (797551EN12) charm joins Bella, Rob Bot (797819) and the rest of the clan in the PANDORA Friends group. 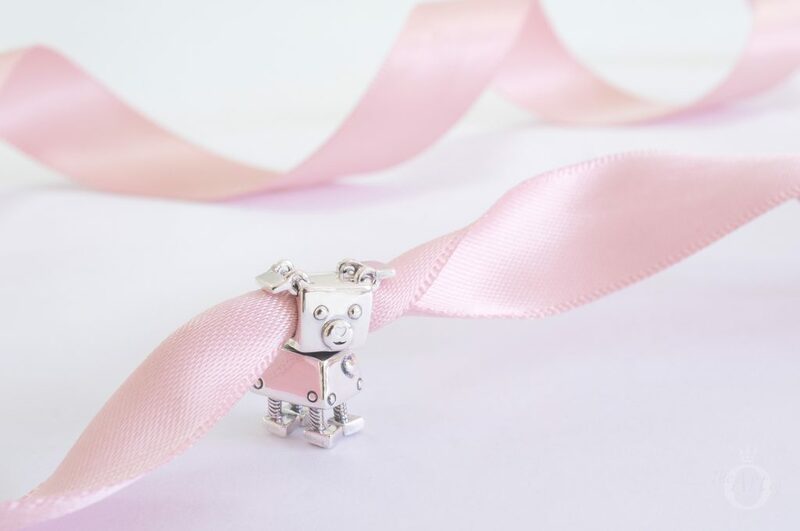 Similar to the Bella Bot charm, the PANDORA Bobby Bot Dog (797551EN12) charm features movable limbs. Bobby’s four little legs, styled as nuts and bolts, are ready to trot alongside you on a walk. Dogs are known for their unconditional love. Like his canine brothers, Bobby Bot has lot of love to share from the big silver heart on his chest. Instead of a cold, wet nose, Bobby Bot has a tiny white enamel heart to kiss you with. Did someone say “walkies”? Bobby Bot thought he heard his favourite word and has raised his ears up in expectation! Resembling twisted metal, Bobby Bot has a cute little tail. Interesting Bobby’s tail is the only part of him that doesn’t move. I would have loved Bobby to have a waggable tail but other than that he is adorable! 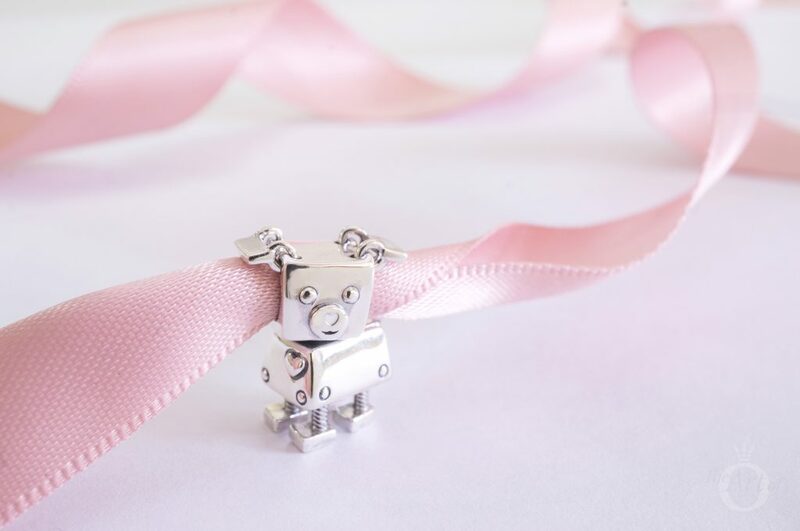 Matching the other characters in the PANDORA Friends range, the Bobby Bot charm is incredibly shiny with subtle oxidisation around his heart, face and legs. 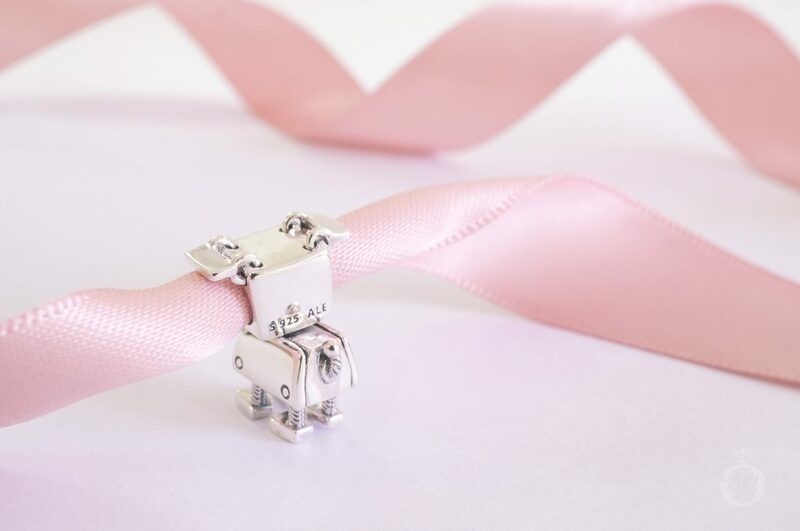 Also, like the silver Bella Bot charm, Bobby Bot is a threaded charm. The standard PANDORA hallmark, ‘925 ALE’ is engraved discreetly on the back of Bobby’s head. I decided to theme each of my stylings of the PANDORA Bobby Bot Dog (797551EN12) charm around the three main characteristics of a dog, starting with love. 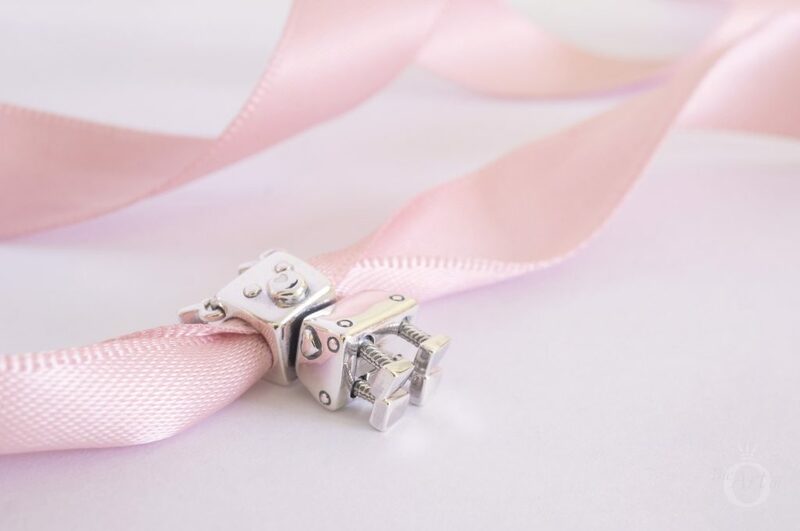 Set on the classic PANDORA Barrel Clasp Moments Bracelet (590702HV), this loved filled styling features the sweet Bobby Bot at the centre with the Keys of Love (797654NPMMX) and the Breast Cancer Lucerne (790522) pendant charms on either side. 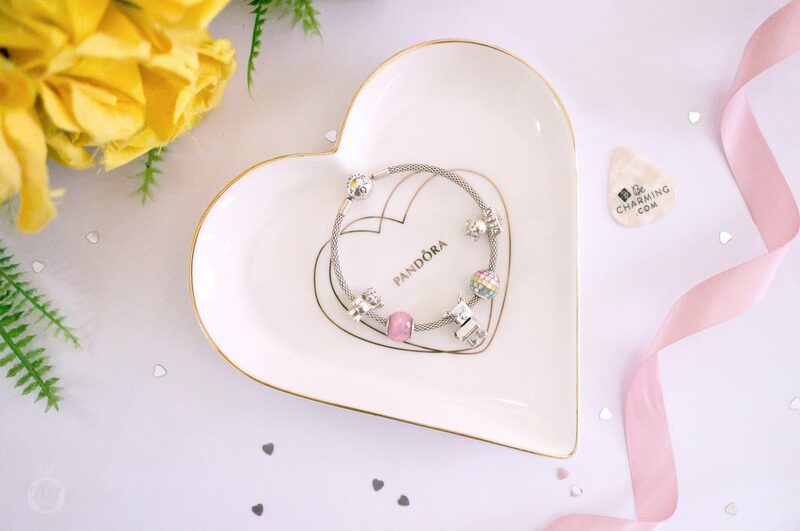 Love hearts surround this bracelet with the oxidised Floral Padlock (791397) and bright silver Icon of Nature (797618) charms. 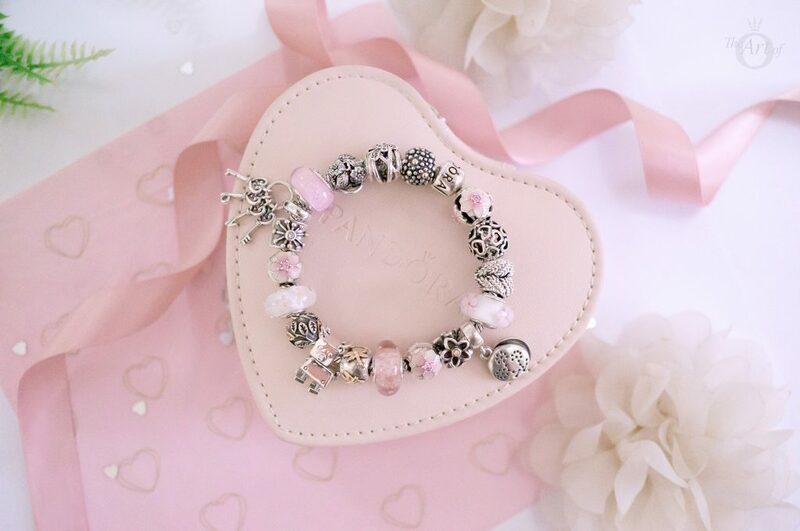 Pink, the colour of love, is scattered through out the design with the Field of Daisies (791623), Pink Glitter (791670), Cherry Blossom (790947) and Aurora’s Signature Colour (791658) Murano charms. 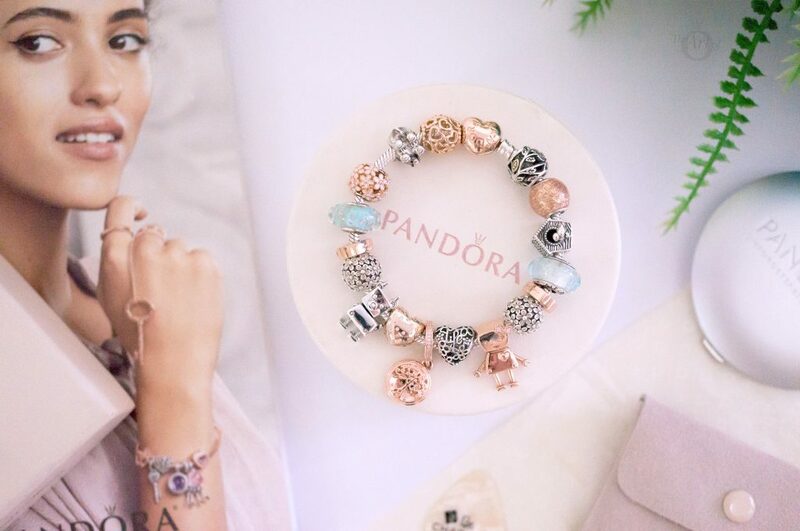 The PANDORA Disney Aurora’s Signature Colour (791658) Murano is currently £25 in the sale on the PANDORA UK eStore. 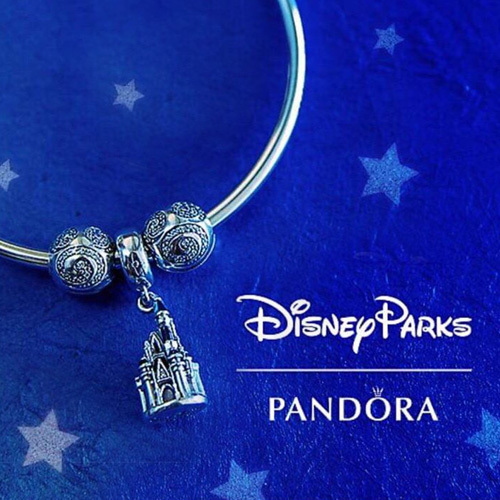 This shimmering glass is wonderful for any PANDORA collector, whether a Disney fan or not. It has a perfect shade of pink which compliments the classic Cherry Blossom Murano perfectly. 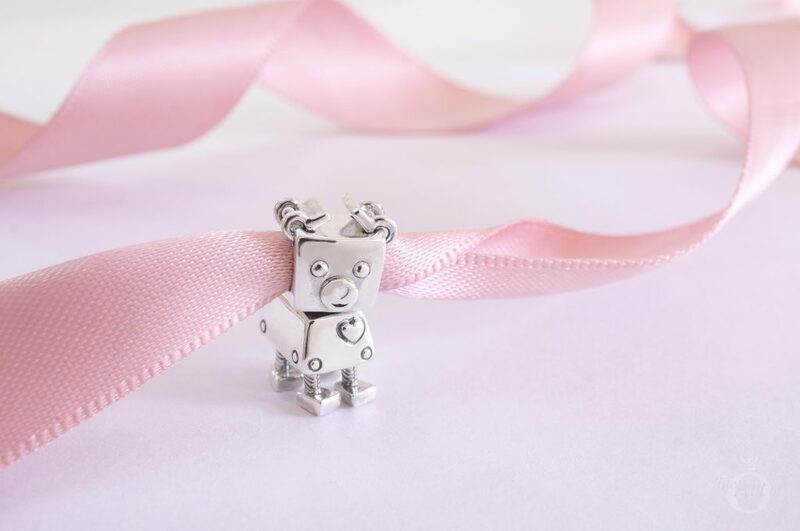 The second styling of the PANDORA Bobby Bot Dog (797551EN12) charm has the theme of loyalty. While cats are often thought of as selfish animals, dogs are loved for their faithful and dependable nature, which makes them an important part of the family. Roses often symbolise promises and protection. 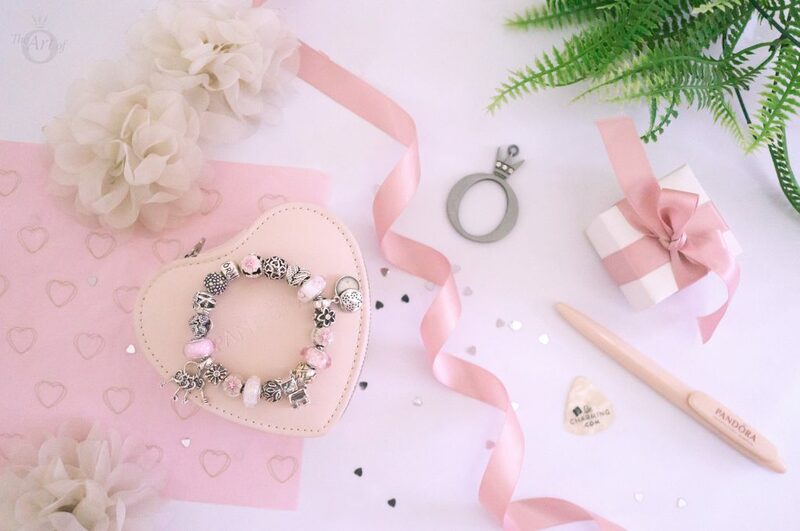 Therefore I decided that the PANDORA Rose Heart Clasp Bracelet (580719) was a fitting background for this styling. 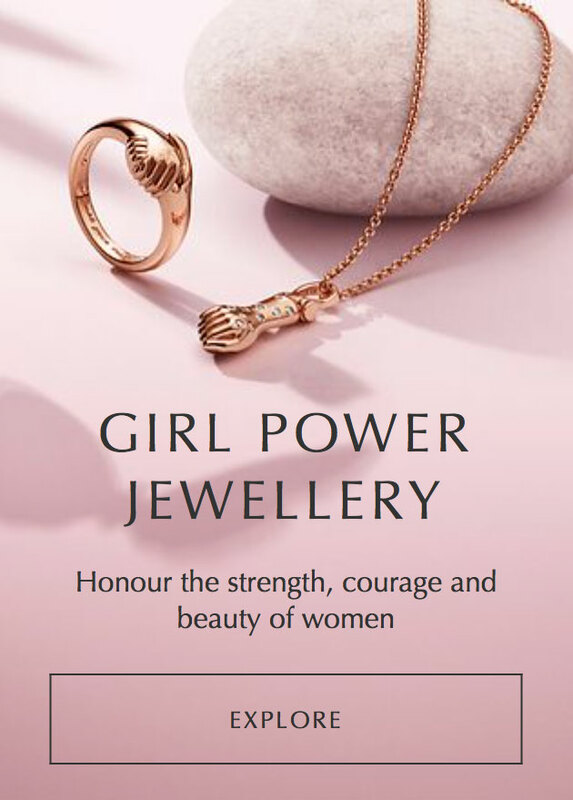 The stunning PANDORA Rose Family Roots (781988CZ) pendant graces the centre of the design and the PANDORA Rose Bella Bot (787141EN160) and Bobby Bot charms provide balance on either side. The humble daisy is another flower which is symbolic of loyal love. 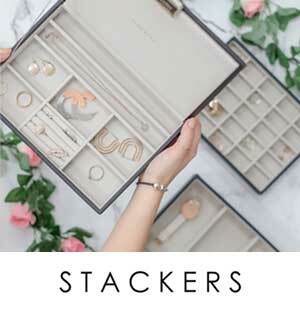 Hence the lovely Darling Daisy Meadow (791494EN12) clips and PANDORA Rose Darling Daisy Meadow (780004EN12) charm are ideal for this look. Additionally the colour blue also represents trust and loyalty. 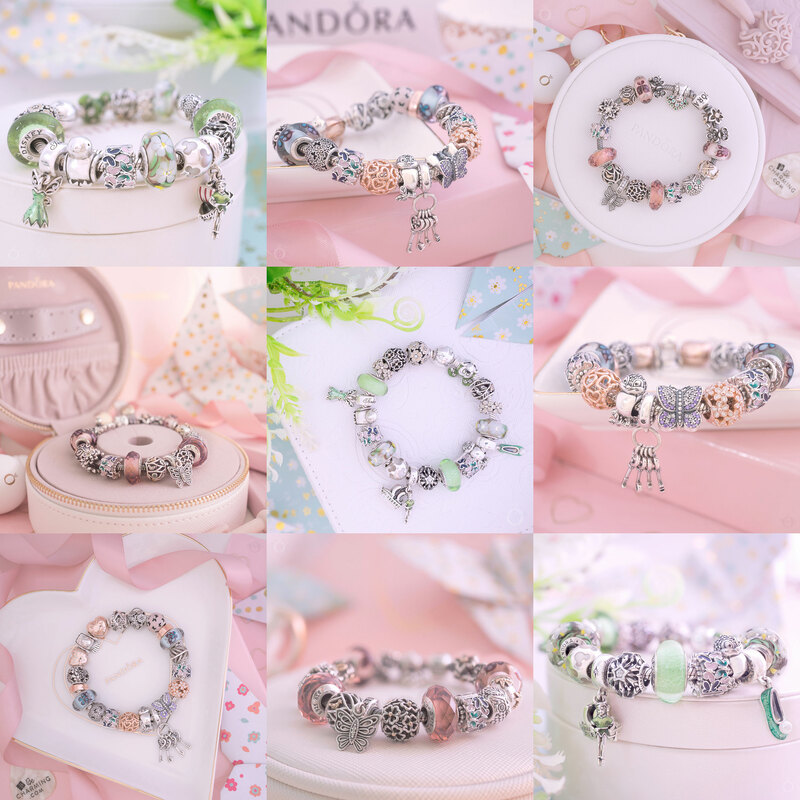 Thus I choose the cool blue Ice Drops (796365CZB) and glistening Mint Glitter (791669) Murano charms which look splendid amidst the PANDORA Rose charms. The beautiful Ice Drops Murano charm was recently retired but it is currently for sale at a special price of $38.50 on BeCharming.com. My third and final design for the PANDORA Bobby Bot Dog (797551EN12) charm is a fun little styling set on the Silver Mesh Bracelet (596543). 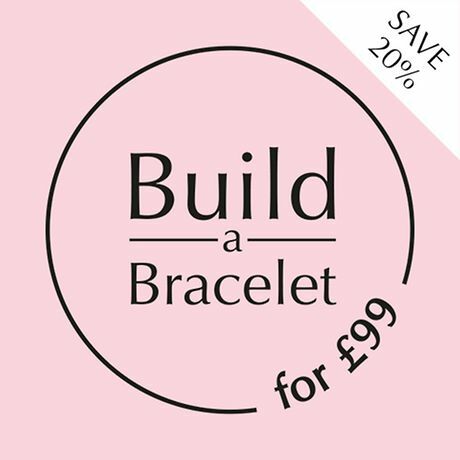 Illustrating the playfulness of dogs, this cheerful bracelet is filled with Bobby Bot’s favourite toys. Bobby loves playing with Bruno the Unicorn (797609), who makes a delightful squeak when squeezed. While his Children in Need 2017 Pudsey Bear (796255ENMX) is his nap time buddy! Plus the Pink Petite Facet (791499PCZ) and Multi-colour Mosaic (797183MPR) charms are ideal for an energetic game of fetch. 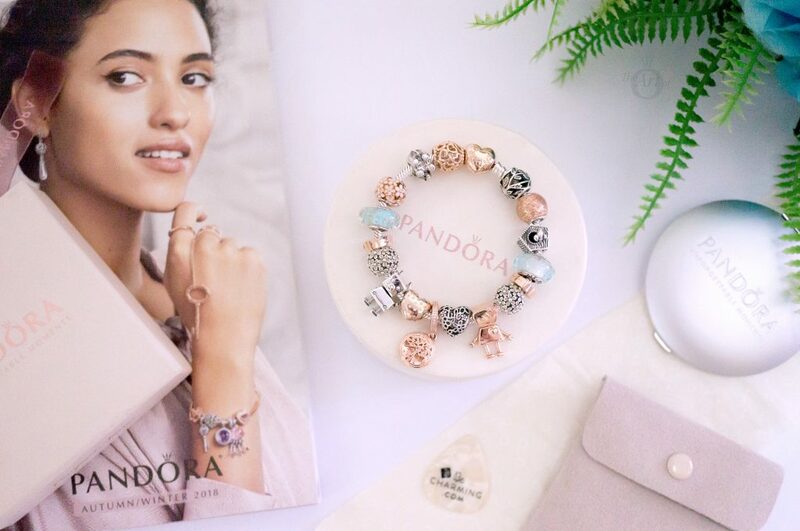 Read our review of the PANDORA Multi-colour Mosaic charm for more pretty styling inspiration. 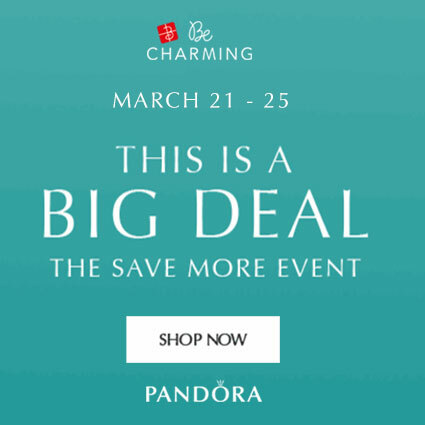 My verdict on the PANDORA Bobby Bot Dog charm? I call it puppy love! 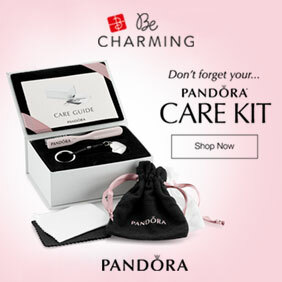 I absolutely love the design of the PANDORA Bobby Bot charm and have given it a well deserved 10/10. Considering the excellent design, movable parts and enamel detailing it is also reasonably priced at £50 or $60 USD. As the Bobby Bot is fairly large it definitely has a lot of ‘wow’ factor. However I believe some will find it difficult to style, hence the 8/10 for versatility. Overall I am very impressed with the Bobby Bot charm and he is already one of my firm favourites! 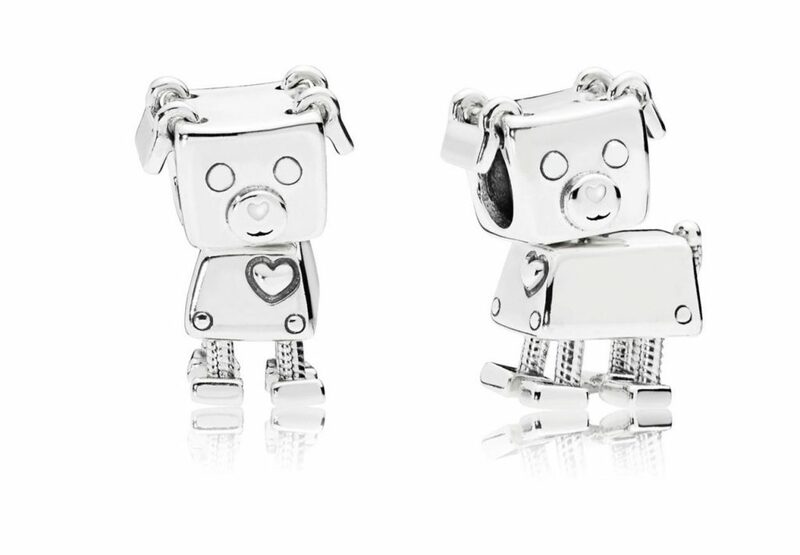 In the UK the PANDORA Bobby Bot Dog Charm (797551EN12) is £50 and available from the PANDORA UK eStore. After reading your review, full of poetry, kindness and principles I am considering bying the little dog. Its so great. 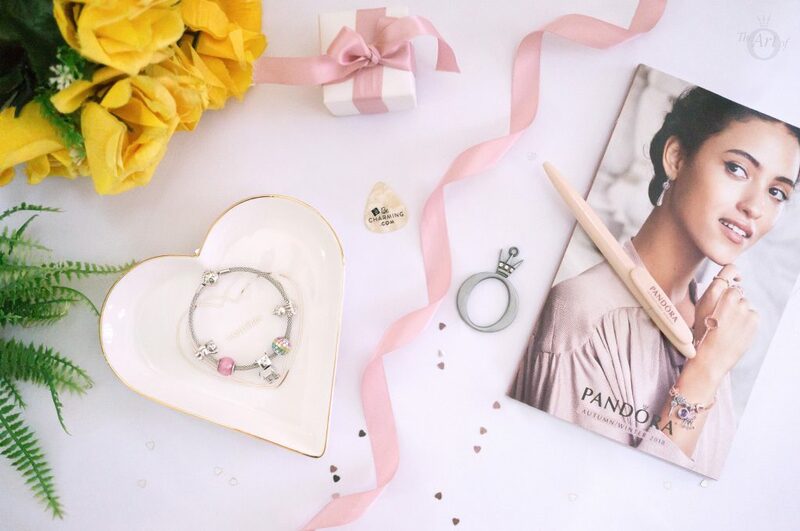 This is The Art Of Pandora: to let shine the real meaning of these symbols. Congrats. Thank you so much for your lovely comment! 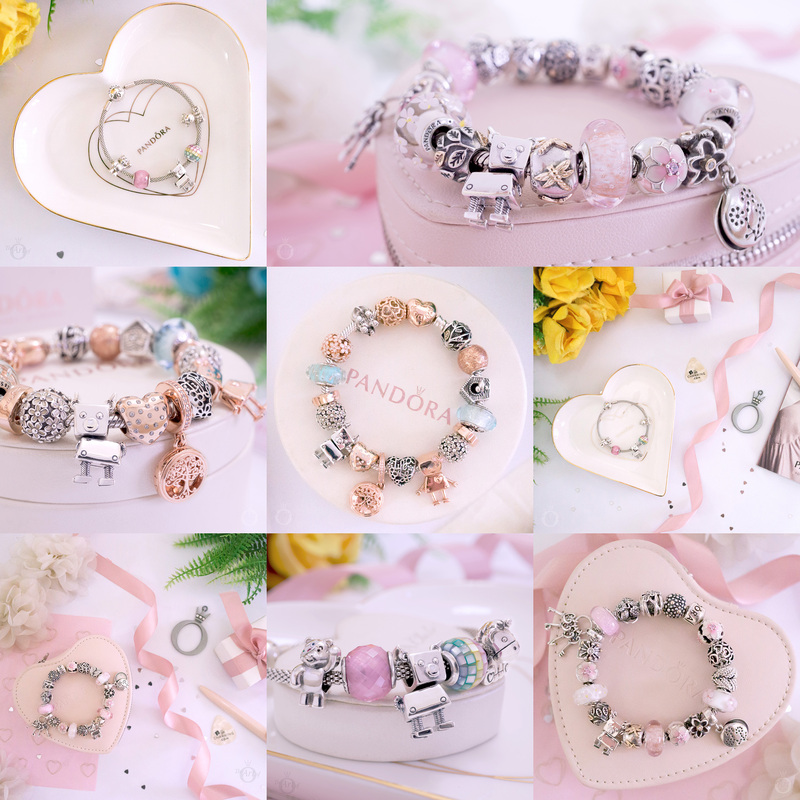 I enjoy the creative aspect to PANDORA and love building bracelets with stories inside. Thanks again for commenting and have a wonderful day! I loved the PANDORA Friends range as soon as I saw it but I did wonder how well it would integrate with older styles. But I think it works really well and adds a new element of interest. Thank you for reading and sharing your views and have an awesome day!